The Notorious B.I.G. 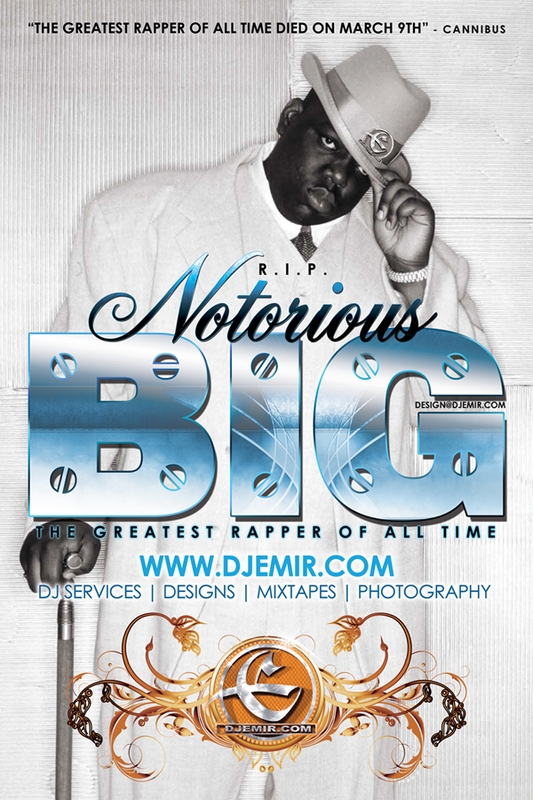 aka Biggie Smalls whose real name was Christopher Wallace was shot On March 9, 1997. Biggie was killed by an unknown assailant in a drive-by shooting in Los Angeles. His double-disc set Life After Death, released 15 days later, hit #1 on the U.S. album charts and was certified Diamond in 2000 (one of the few hip hop albums to receive this certification). Wallace was noted for his “loose, easy flow”, dark semi-autobiographical lyrics and storytelling abilities. Since his death, a further two albums have been released. MTV ranked him at #3 on their list of The Greatest MCs (Rappers) of All Time, while The Source Magazine and Blender named Wallace the greatest rapper of all time. He has certified sales of 17 million units in the United States alone.